The 439’s contemporary design and elegant features makes this vessel one of great speed and comfort. 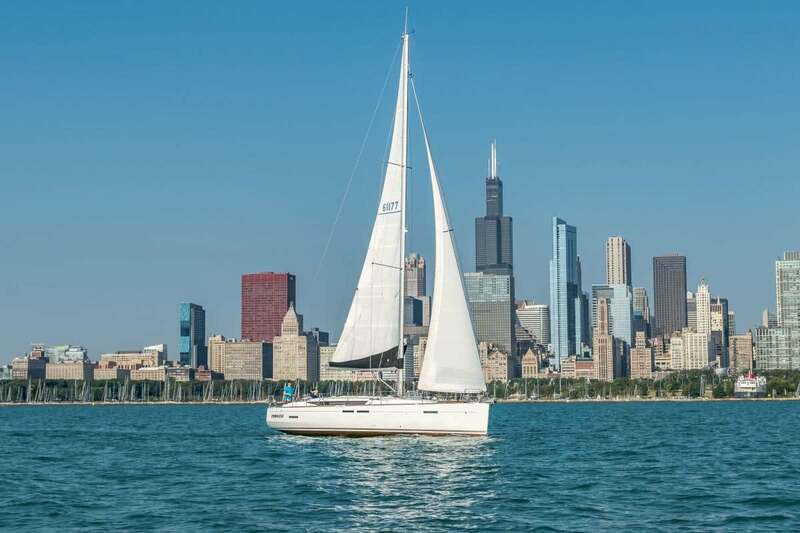 With an overall length of 43’9″, a 13’10” beam, and a full keel of 7’2″, the 439 is fast boat. Pinnacle’s 439 is equipped with a full mainsail that is hoisted up the mast from its boom-top storage bag via a Harken electric winch. 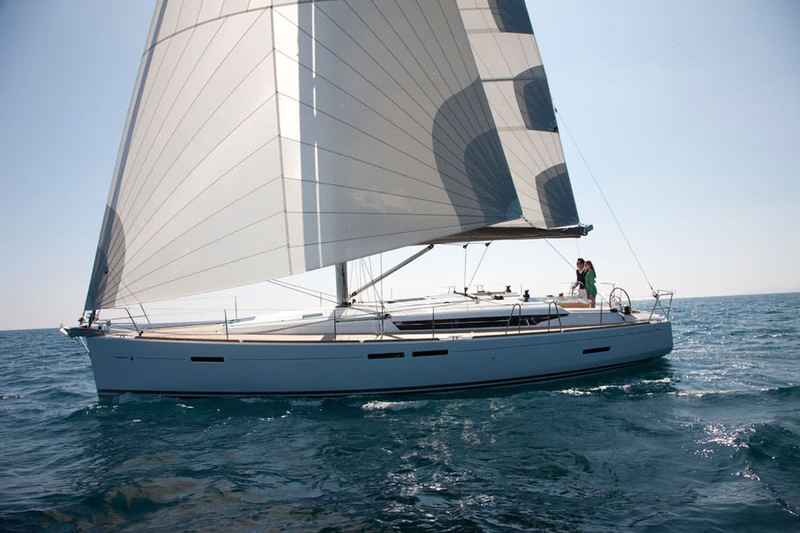 The 439’s high aspect rig provides a tall sail plan that allows the boat to carry a narrower, taller headsail which is much more efficient. The roller-furling headsail is a 106% jib allowing the yacht to generate a great deal of power without the difficulty of managing a large 130% overlapping genoa. Pinnacle’s 439 incorporates high quality B&G instrumentation. 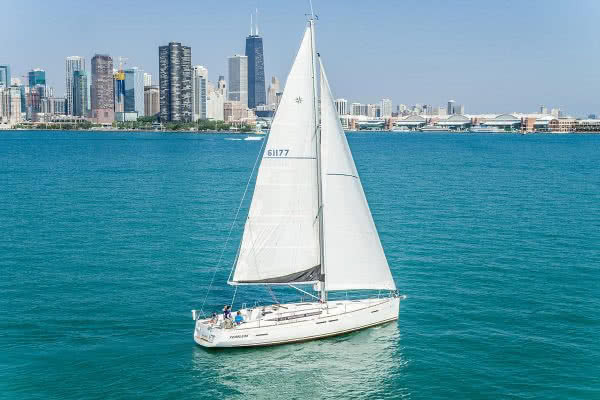 State-of-the-art wind, speed and depth gauges are integrated to the Zeus color cartographic touch-screen plotter and master control unit mounted at the helm. The yacht is also equipped with a B&G autopilot. An electric bow thruster provides exceptional handling around the docks. 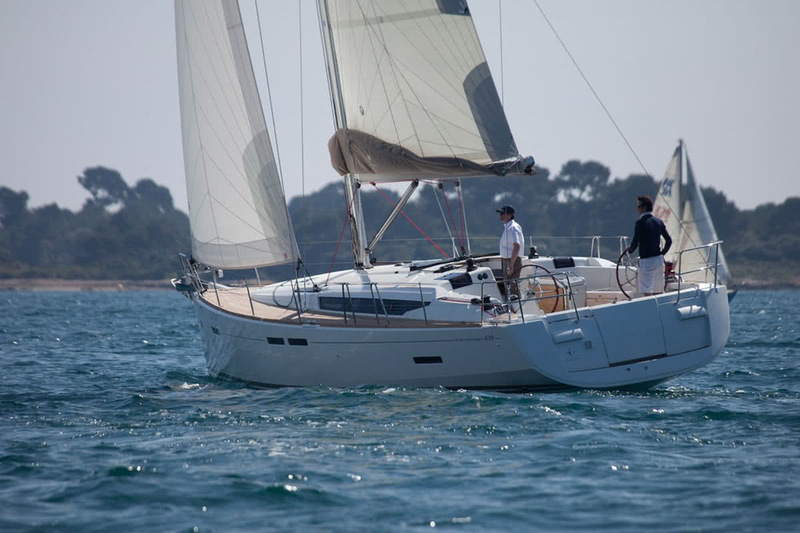 The yacht also moves swiftly under power with a 54 HP Yanmar Diesel and modern Sail Drive transmission. Drag is reduced substantially by her folding prop. Twin helms with black composite wheels allow high-side visibility and make the cockpit open and comfortable. Cockpit seats are finished in glowing teak. The yacht has much flat area forward for relaxing and moving about. A sizable folding swim platform allows passengers easy access to the water. 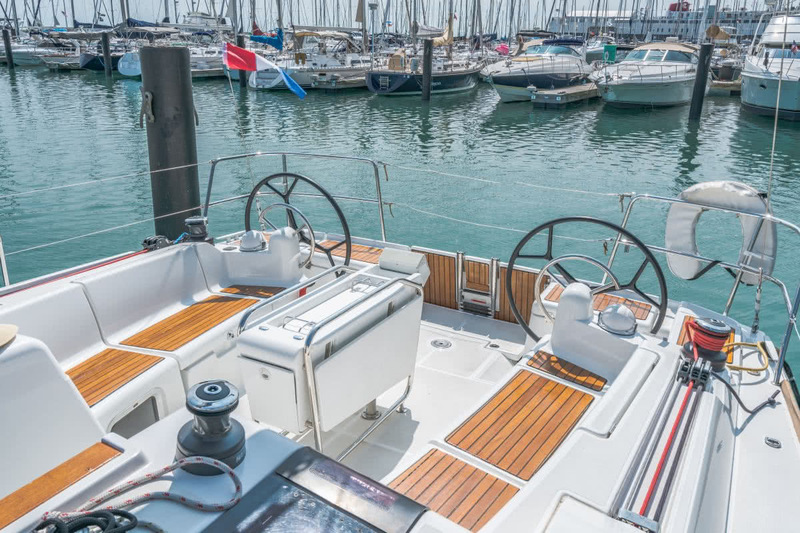 The Jeanneau 439 is stunning below deck. 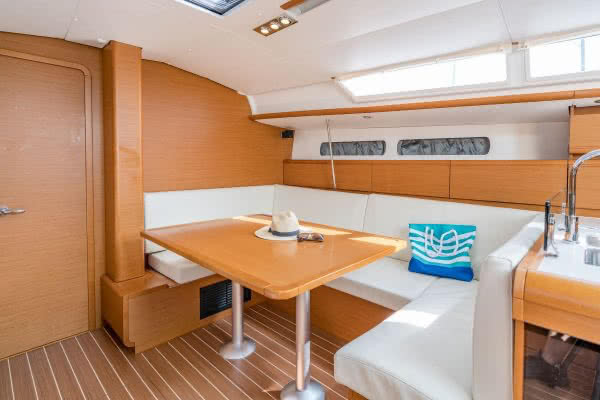 She is sleek, spacious and intelligently laid-out, with finely finished teak used throughout. 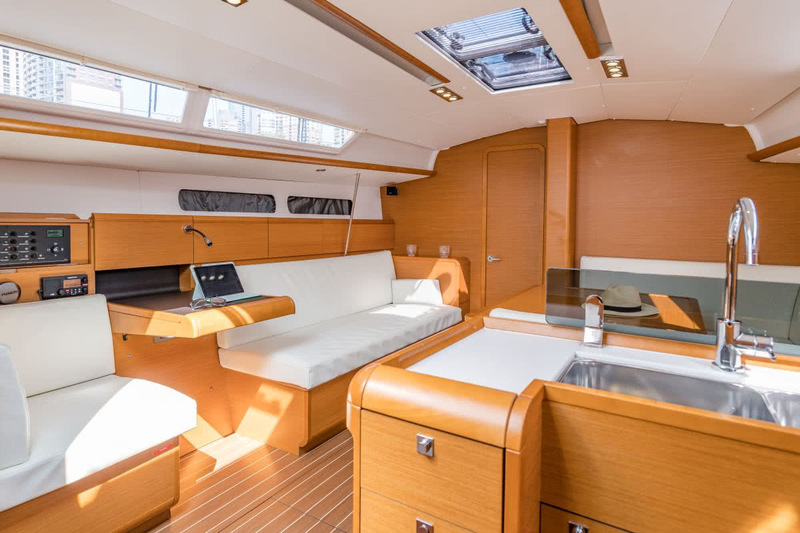 The yacht is equipped with air conditioning and heat for relaxing. 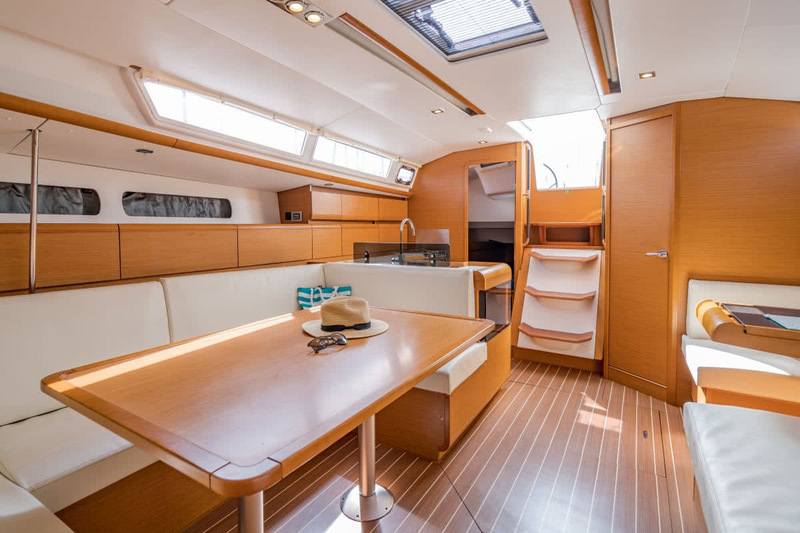 The forward v-berth cabin and stateroom aft each have their own head and are appointed with abundant cabinetry and hatches. The main salon table provides seating for six. Additional seating is provided by a spacious settee on the port side. A NAV station desk also lays to port. The galley provides a four-burner stainless steel stove with oven, refrigerator and a double sink with hot and cold pressure water. The galley is stocked with quality wine glasses, plates, silverware, cookware and utensils. All Pinnacle vessels are equipped with safety gear that exceeds Coast Guard requirements.